This Taiwanese bridal shop targets Malaysian couples, mostly on bridal fairs, who wish to take advantage of the beautiful scenery and photo spots in Taiwan, different from what we have here. And they are located at non other than SS2- of course. 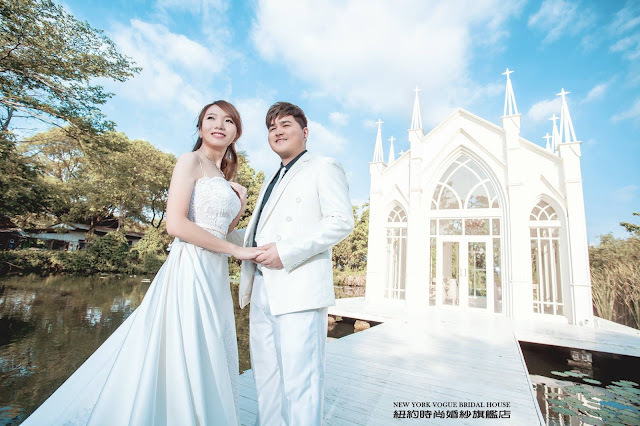 The bridal package provides the usual gown/suit, makeup, photography, limited copies of photos, on top of that; accommodation (minsu/ homestay), meals, pickup service as the bridal shop in Taiwan is located in Pingtung, a small little town which is 1 hour+ drive away from Kaohsiung. 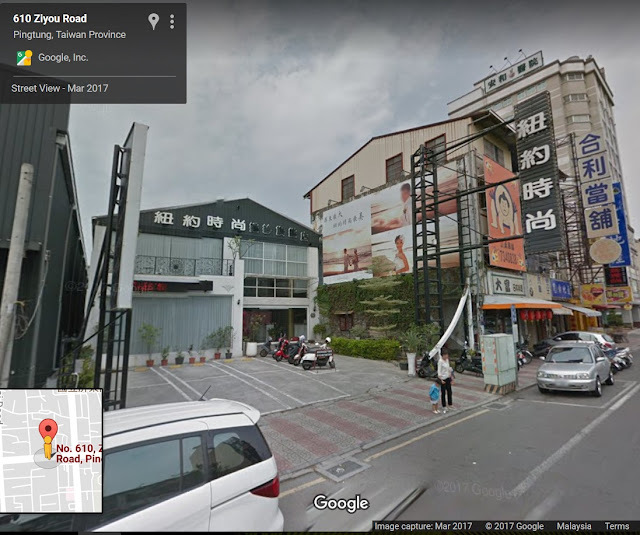 Air Asia flights go to Kaohsiung directly or you can have a stop-over in Taipei, via Taoyuan Airport, stay one night then take the high speed rail from Taipei Main Station to Kaohsiung (Xin Zuoying Station) in 1hr 34min (360km). 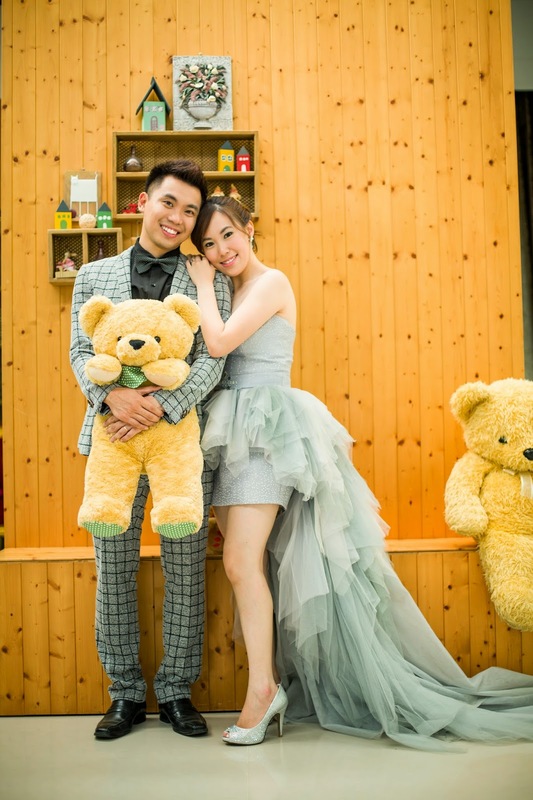 Service provided by New York Vogue Bridal House Pingtung is generally good; extensive selection of gowns, with competent MUA and photographer. NY Vogue premise in Taiwan. Beautiful makeup. 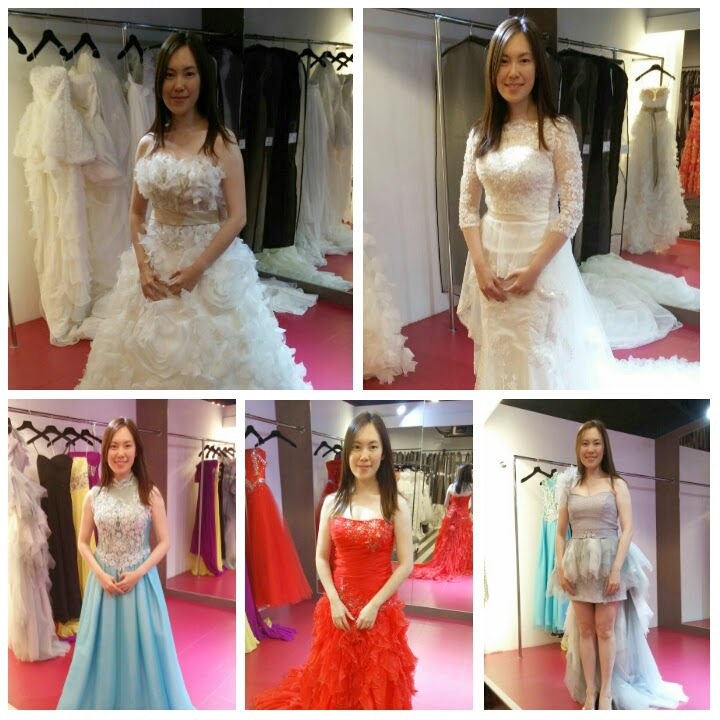 Gown fitting session in Taiwan. Good selection. I wish i could vote no stars. Went in to their studio, stood infront of them for a few minutes, their employees saw us and didnt even care to tell use wait a moment if they are busy. My fiance paid full on the package during a wedding fair in MidValley last year somewhere in June. Initially, I was worried as the salesman was quite pushy and he made my fiance pay in full without asking if we just want to pay deposit. 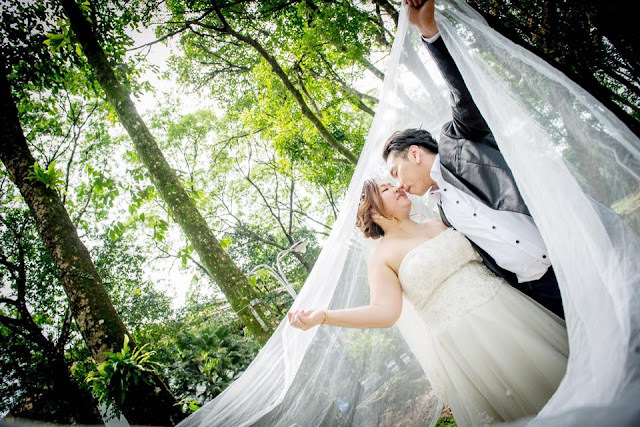 He stressed that i can choose all bridal gowns including VIP section. However, the next day I went back to the fair and clarified, those "tailor-made" section is not included. 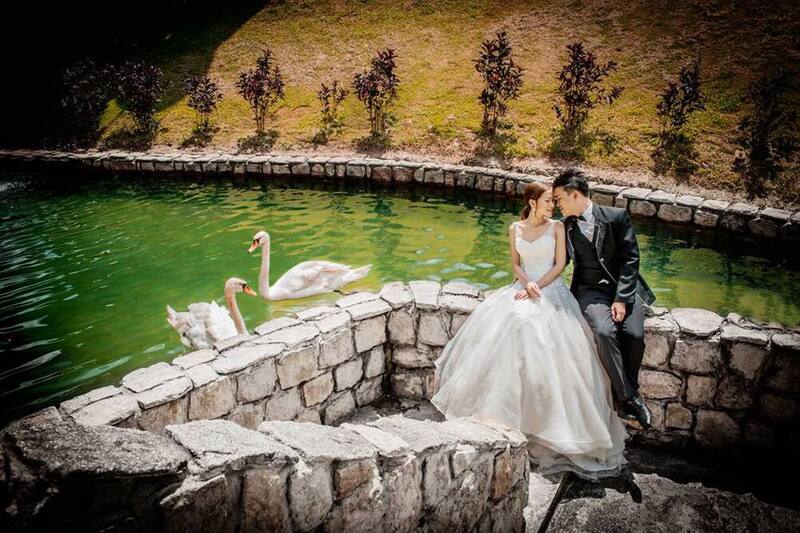 He then assured me there is no such section in Taiwan and i can choose ALL bridal gowns in their bridal shop in Taiwan. According to them, New York Vogue (taiwan) bought over De Paris and now renamed to New York Vogue, and they shifted their office from Loke Yew to SS2. One mistake I made was we never asked where is their office located in Taiwan and assume it will be in Taipei. 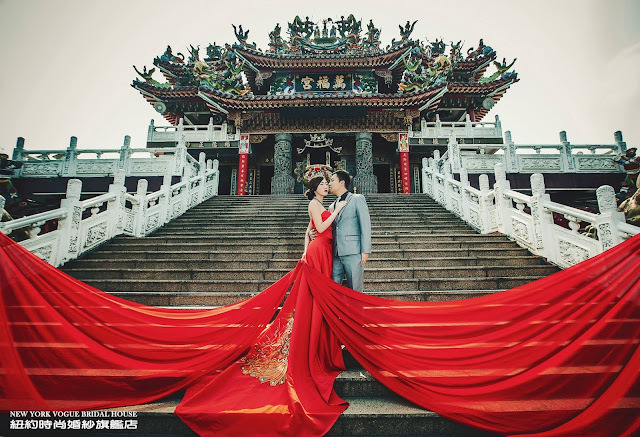 However, only when I tried to plan my trip then I realised their bridal house in Taiwan is in PingTung, a small little town located 1 hour + drive away from Kaohsiung. I would say my experience in Kaohsiung considered quite good. My flight last minute delayed and I could only reach at midnight instead of 8pm as I informed them (they provide return airport transfer from Kaohsiung airport). Despite such odd hour, they are willing to wait till midnight and pick us up from the airport, and send us to the Min Su (home stay) provided by them, which is near Ping Tung town. Next day was my gown fitting/choosing day. They picked us up almost noon to their bridal shop. I would say they are quite patient already, as according to my fiance, I was quite picky especially when it comes to the white bridal gown. 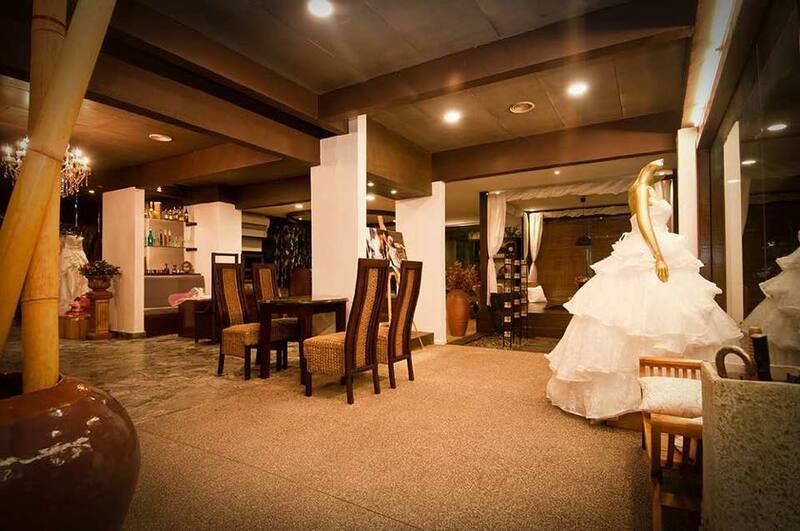 We were there for almost 6 hours, including waiting for them to alter the gowns on the spot and try it on again. They bought us bento set as "lunch" as we told them we didn't had lunch before we came, but we only get to eat while waiting for them to alter the gowns around late afternoon. 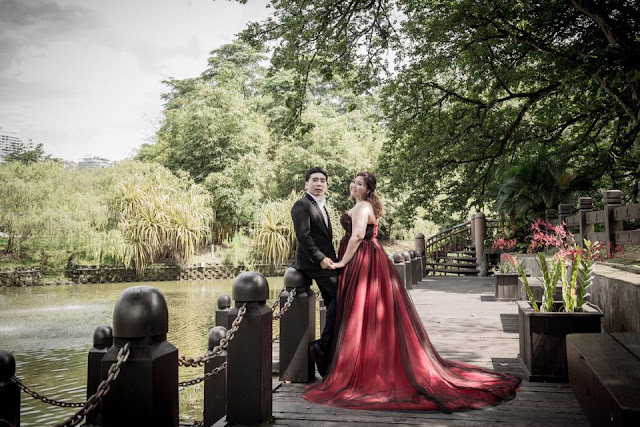 The only set back is that the photographer that I chose was on leave on my gown fitting day and thus the make up artist was the one had a pre-discussion on the type of photos and venue that we prefer. We signed up for the photo shoot package way back in January at a wedding expo in KL. There were very few Taiwanese companies at the expo and to be honest. 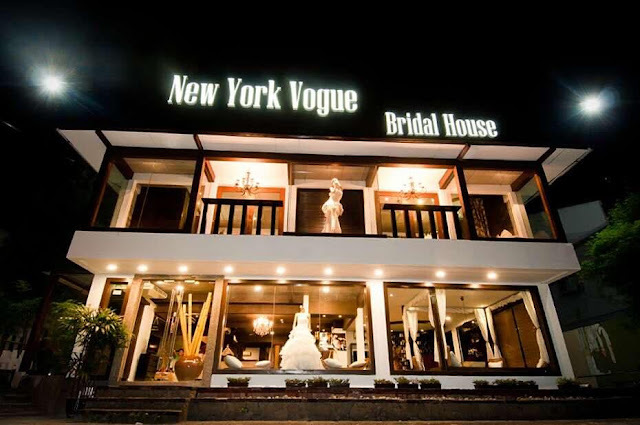 In the end, we chose New York Vogue (NY 1999) based in Pingtung, Taiwan. Before we signed, I quickly checked online for reviews but only managed to find one or two. As the price was much less than what we had budgeted for, we decided to take it and hope for the best. There were several email exchanges between me and the service rep to confirm the itinerary, photo shoot location and other general questions I had. They usually respond in less than 3 days. We arrived Taoyuan Airport on 9th May via Air Asia from KK and took a bus to Taichung. NY Vogue had suggested we stop over in Taichung for one night to visit Feng Chia night market before going to Kaohsiung the following day. We left Taichung via the High Speed Rail to Kaohsiung Zuoying and only had to wait for a few minutes before Peter picked us up at the agreed location. We followed Peter to Kaohsiung city to pick up a couple from Macau who were going to take photos on the same day as us before going to Pingtung. Peter took us to Xing Guang Da Dao to drop our bags before taking us to NY Vogue. Upon reaching the company, we were assisted by Ming Yuan. My hair and make-up took more than two hours but I must compliment Ni Ni for her mad skills! I have never felt so comfortable in falsies. Mr L does not usually like me in make-up but even he thought Ni Ni did a great job and according to him, he has never seen me look this good in make-up. After meeting photographer 林sir briefly, we started taking photos within NY Vogue's premises. Before long, we were on our way to Chiayi (slightly less than 2 hours' drive away). After a quick lunch break (beef noodles yum! ), we got to work right away. 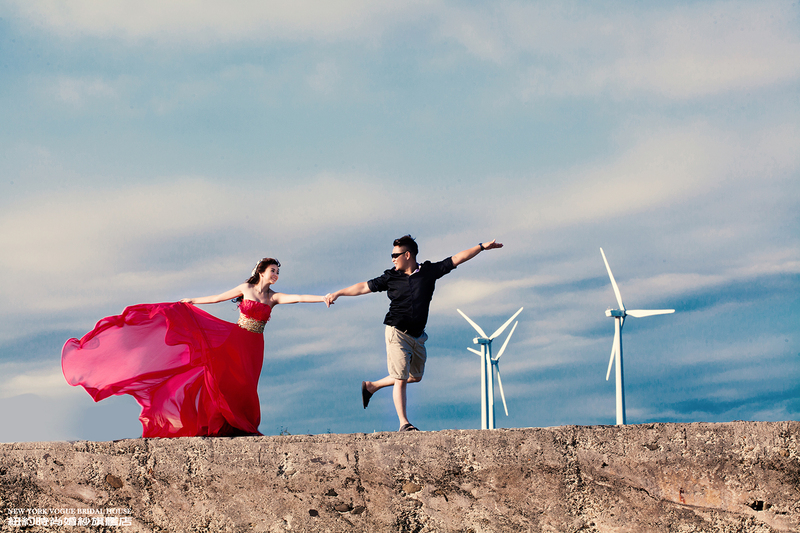 The entire session felt really smooth and was not as tiring as I had imagined. 林sir made us feel very comfortable and gave us very clear instructions. The lighting assistant 阿清 (A- Qing) was very helpful and attentive throughout. We were so relieved to see how the photos had turned out- they were so much better than we had expected and ended up buying 20 additional photos.